Manhattan, NY Ariel Property Advisors has been exclusively retained to sell 2031-2033 3rd Ave., a mixed-use development site in the Northern Manhattan neighborhood of East Harlem. The asking price is $8.5 million ($193 per buildable s/f). The 50’ wide site, located between East 111th St. and East 112th St., was recently rezoned to R9/C2-5 (FAR: 9.00/2.00), which provides approximately 43,875 buildable s/f (as-of-right) for a mixed-use development. The property is currently improved by a single-story retail building that spans the full lot and is occupied by a discount store. Exclusive agents Michael Tortorici, Marko Agbaba, Victor Sozio, Matthew Gillis, and Matthew Lev are representing the seller. The site’s frontage along a major retail corridor presents significant upside potential over the long-term. 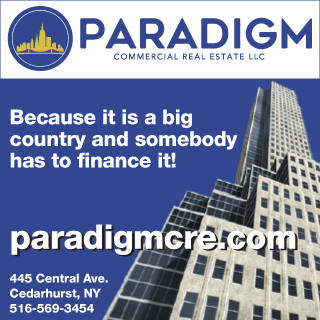 The property sits near major attractions and institutions, such as Central Park, Thomas Jefferson Park, Mount Sinai Hospital and the East River Plaza. The site is close to downtown and outer-borough destinations via the 6 train at Lexington and 110th St., FDR Dr. and several local bus lines. The property should substantially benefit from the eventual completion of the 2nd Ave. Q train, which will have a station a few blocks away at East 106th St.